It’s hard to believe that I’m in my fifth week of the Candida Diet! For the first 3 weeks or so I was keeping a daily log of my symptoms, what I ate, and what vitamins I took. Now, I’m in the swing of things and I know what I can eat and drink. I am still in search of fun foods to make or add to my repertoire. 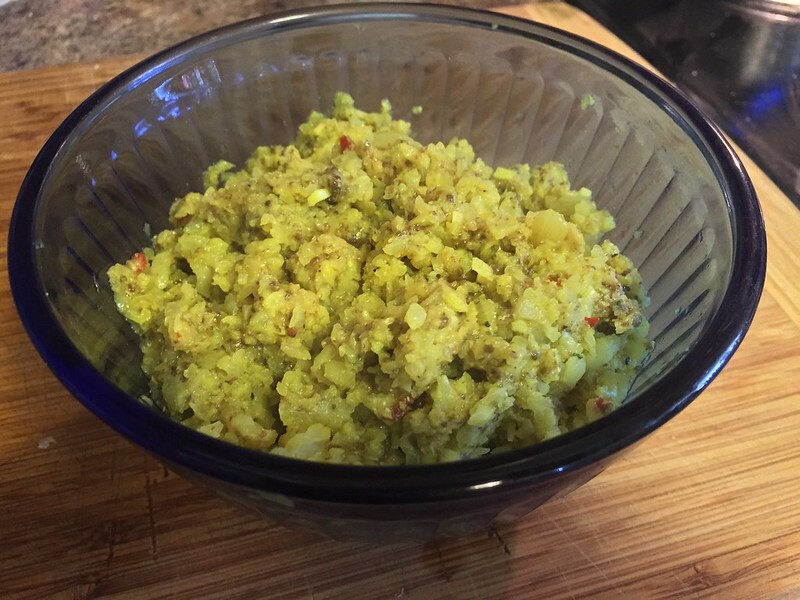 Grate the cauliflower and add all ingredients except chia seeds & eggs to a pot. Add lid and bring to a boil. 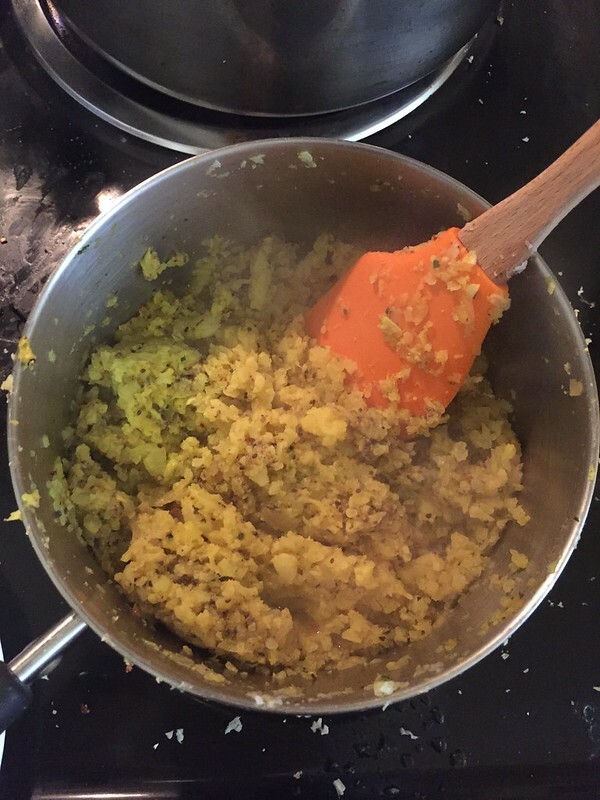 Once water has almost completely evaporated and cauliflower is cooked through, add 2 TBSP organic ground chia seeds. At this point, or a little before if you like more well-done eggs, you can start frying your egg(s). Turn heat down to low or turn off and cover with a lid to keep warm while eggs are cooking. 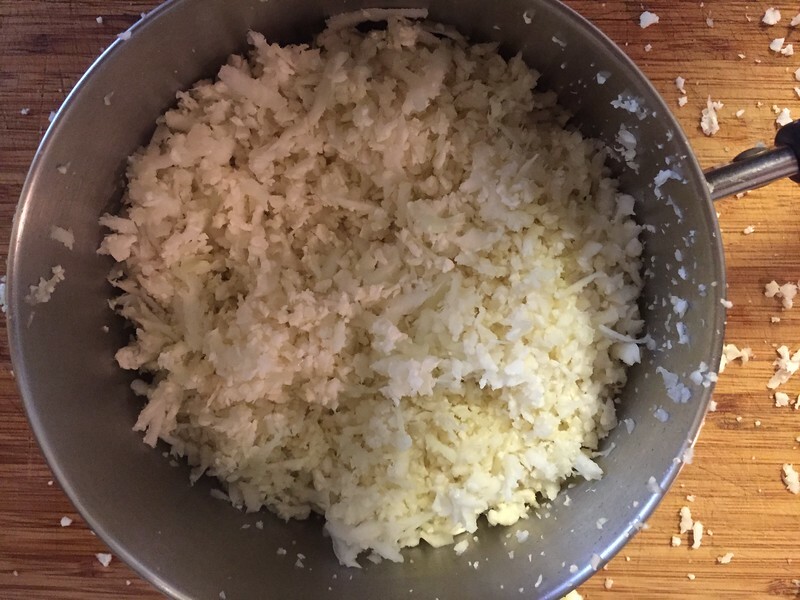 Once eggs are done, fluff cauliflower with a fork to break up clumps and serve in your favorite bowl. Top with eggs and a dash of sea salt and freshly cracked pepper. 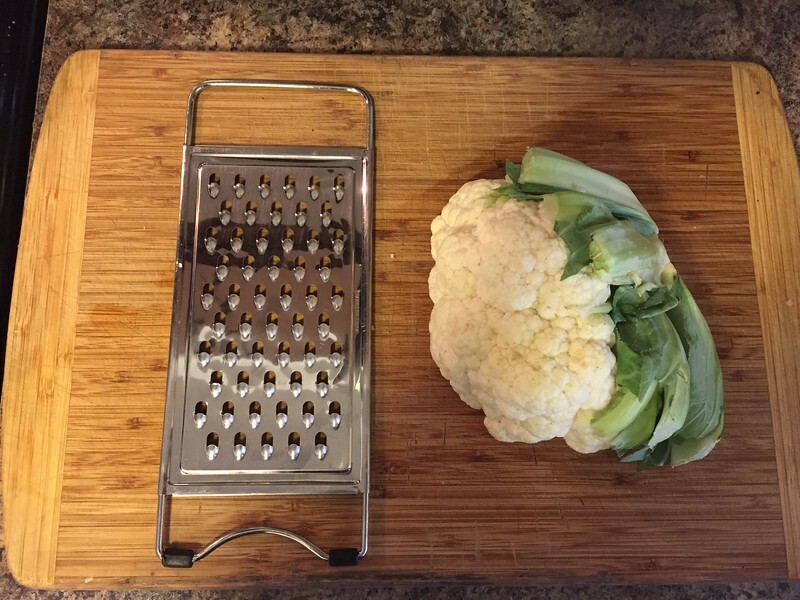 Take your 1/2 head of washed cauliflower and grate coarsely. I like to leave the stem on so I have something to hold that’s not being grated, i.e. my hand. Ouch! It’s convenient to grate directly into your pot because it gets messy as you can see! At this point, you’ll add all the other ingredients, cover and bring it to a boil. After it comes to a boil, reduce the heat and start stirring occasionally until it starts looking more like this! At this point, add the ground chia seeds to soak up the last bit of moisture. 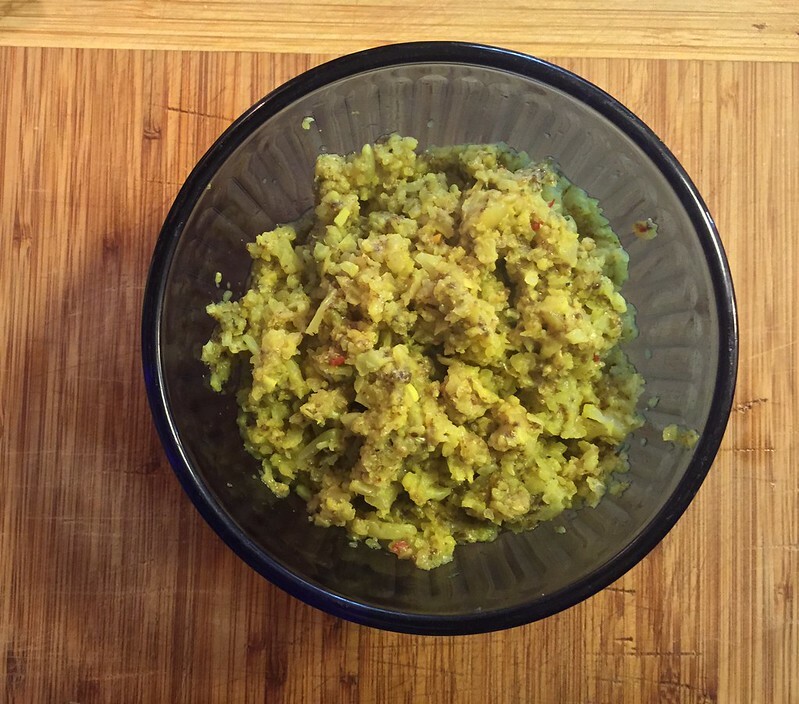 Fluff it with a fork to give it a little more texture and turn out into your bowl of choice. 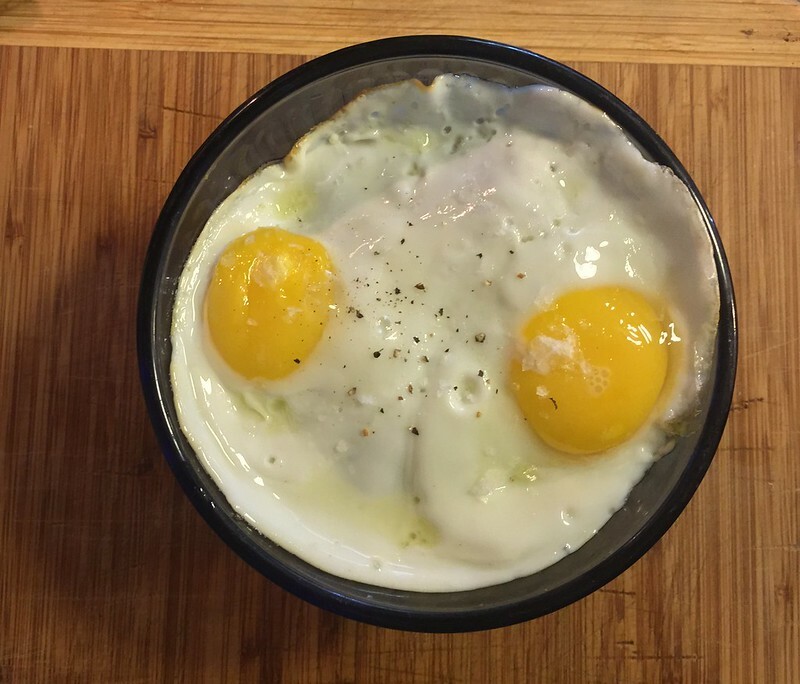 If you eat eggs, this is a great recipe to top with one! Where’d the risotto go? I like my eggs runny so they can be mixed up with the cauliflower. I really miss sauces on my food and the runny eggs substitute nicely as a thick, almost creamy sauce. 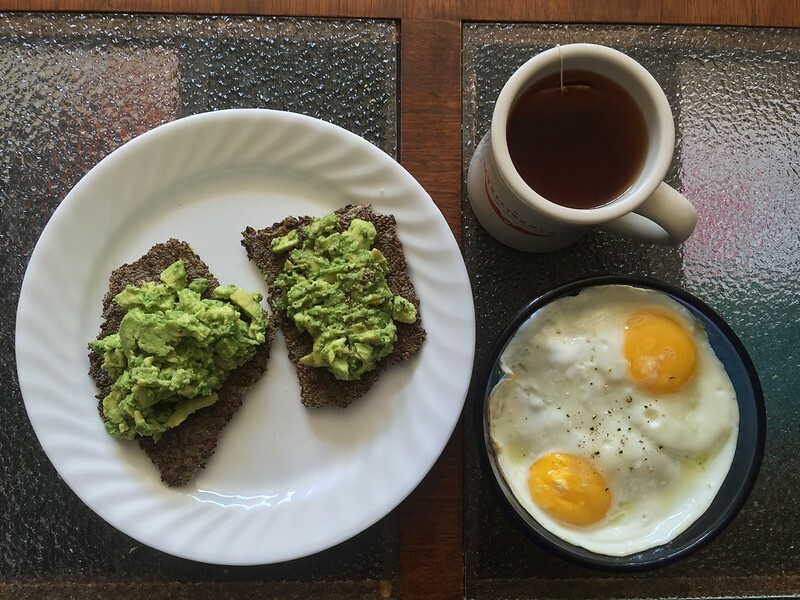 Paired with a mug of herbal tea and some chia seed crackers, this is a hearty and fulfilling meal. Happy National Margarita Day 2018!